You’ve grown your ecommerce business so much that now you need full-time employees. But how much should you pay your new employees? Here is a list of tools and resources to help determine ecommerce employee pay. There are salary calculators, sites that list salary amounts, and firms that provide reports on pay levels. There is also information from a prominent ecommerce recruiter, along with current salary levels for key ecommerce positions. Harry Joiner is the Nolan Ryan of ecommerce recruiters. Since 2004, Joiner has led over 700 ecommerce searches and has closed more than 150, including CEO’s, CMO’s, V.P.’s, and Directors of Ecommerce. 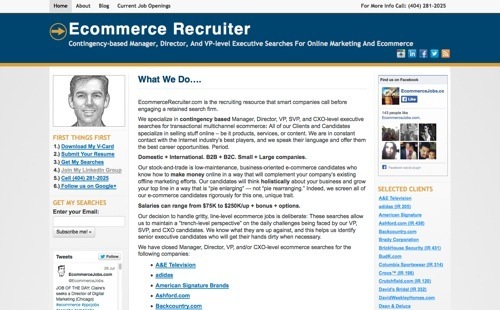 Joiner’s firm EcommerceRecruiter.com is contacted by roughly 350 companies per year to handle ecommerce job searches — about 200 projects are accepted. He also owns two of the top five LinkedIn ecommerce groups, including EcommerceExperts.com. Typically the recruiter’s contingency-based fee is 20 percent of the candidate’s first year base salary, only if the candidate is hired. Joiner provided this list, below, of various ecommerce positions with current average salaries. The compensation spread between the low and the high has mostly to do with costs of living, he says. Glassdoor is a transparent career community that helps people find jobs and companies recruit talent. 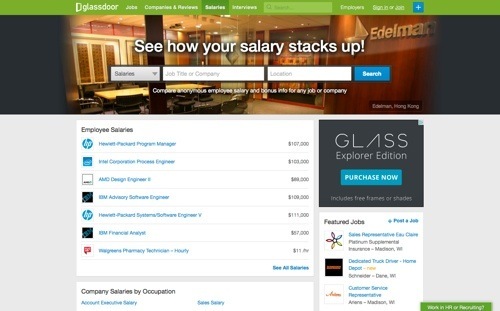 Glassdoor holds a growing database of six million company reviews, including salary reports. The information is shared by the employees of the companies, so it’s a good source of actual salary levels. Companies can also post job openings — free for companies with fewer than five open positions. Price: Free. 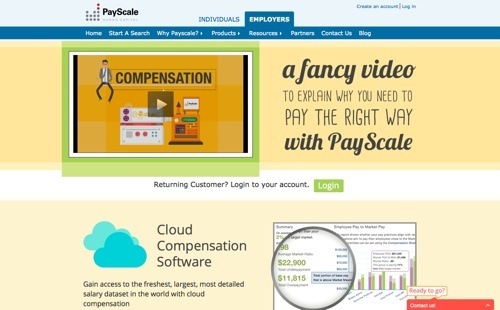 PayScale provides a variety of solutions to determine pay. It offers three levels of subscription services, featuring fresh data, tools & analytics, support and training. Services are priced according to the number of employees in an organization. You can also purchase single reports. 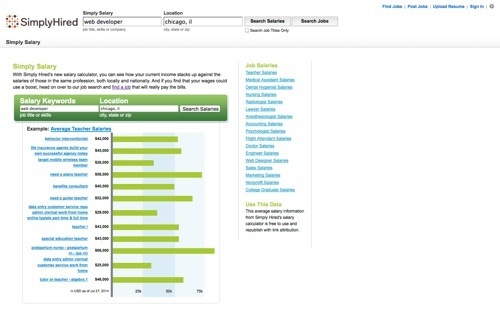 PayScale’s salary reports are based on real-time salary data that is collected and processed on a daily basis. Price: Contact on pricing. Salary.com – U.S. Salary Wizard. 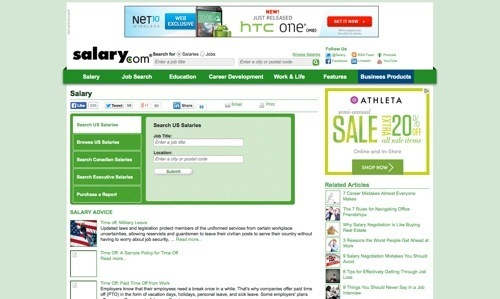 Salary.com offers several tools to develop salary levels. Use its free U.S. salary wizard, which contains proprietary employer-reported data. Businesses can also subscribe to compensation data covering more that 4,000 benchmark jobs, along with the tools to analyze the data. Purchase job valuation reports to price a job, as well as competency reports that detail necessary skills. Price: One report $129. Contact on subscription pricing. 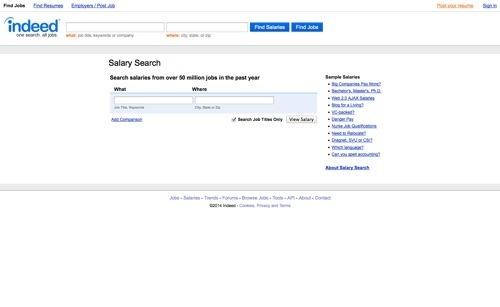 CareerBuilder has a simple salary calculator to query salary information on a job title and location. 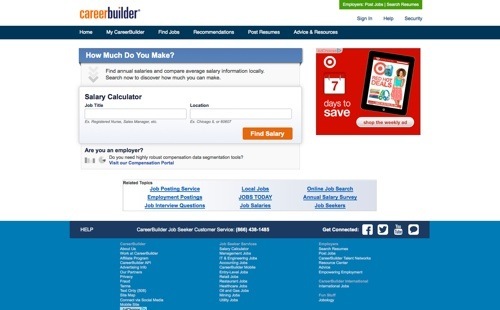 CareerBuilder has the largest online job site in the U.S. It gets more that 24 million unique visitors a month. The salary calculator data is sourced from CareerBuilder’s vast salary data located in its Compensation Portal. Price: Free. 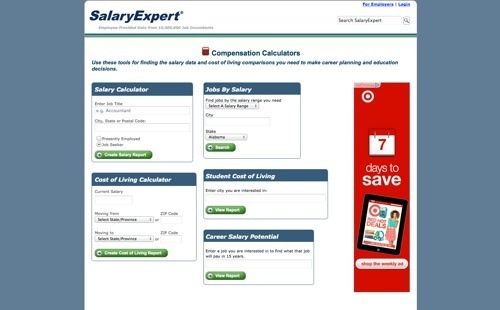 SalaryExpert provides reporting on salaries and cost of living from compensation professionals. It offers free calculators to receive free job-family salary reports with benefits, bonus, and cost of living information. 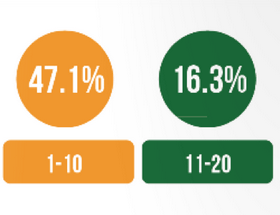 It also offers premium reports from job-specific and industry survey data. SalaryExpert is an affiliate of ERI Economic Research Institute, which provides compensation, benefits, and Human Resource research for private and public organizations. Price: Contact for premium report pricing. 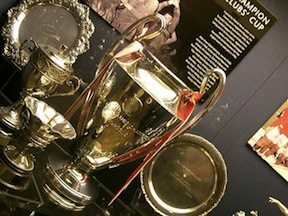 Indeed Salary Search is based on an index of salary information extracted from over 50 million job postings from thousands of unique sources over the last 12 months. Many job descriptions don’t contain salary information, but there are enough that do to produce statistically significant median salaries for millions of keyword, job title, and location combinations. Indeed Salary Search lets you search using any mix of skills, keywords, or job titles to give you the median salary of all jobs matching your query. Price: Free. Simply Hired – Simply Salary. Using Simply Hired’s salary calculator, you can see how a position’s salary stacks up against the salaries of those in the same profession, both locally and nationally. This free salary calculator uses salary data from millions of job listings indexed by Simply Hired’s job search engine. Price: Free. 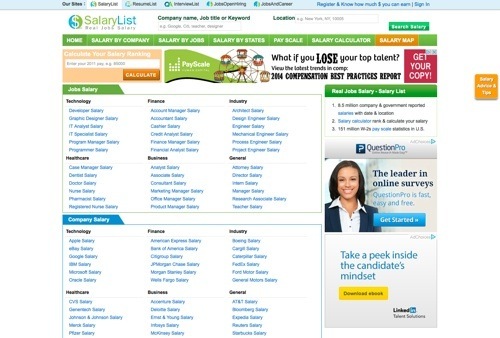 SalaryList.com provides real jobs salary data from government agencies and companies on actual job positions. Use the free salary calculator or search salary data by company, job, location, and pay scale. The site’s mission is to provide transparency in compensation and pay, so that both employer and employee have a better understanding of the compensation market and in making career decisions. Price: Free. A network of your ecommerce peers can be a valuable resource for determining salary levels. 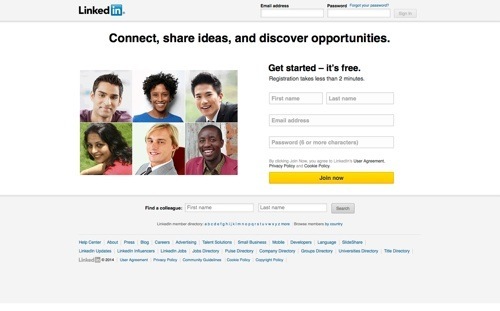 LinkedIn has a variety of ecommerce and small business groups, such as E-Commerce Network, Shop.org, EcommerceExperts.com, and Small Biz Nation, to collaborate and share information. Join a group, and then talk to your peers and industry experts about the pay levels they set. Price: Free.